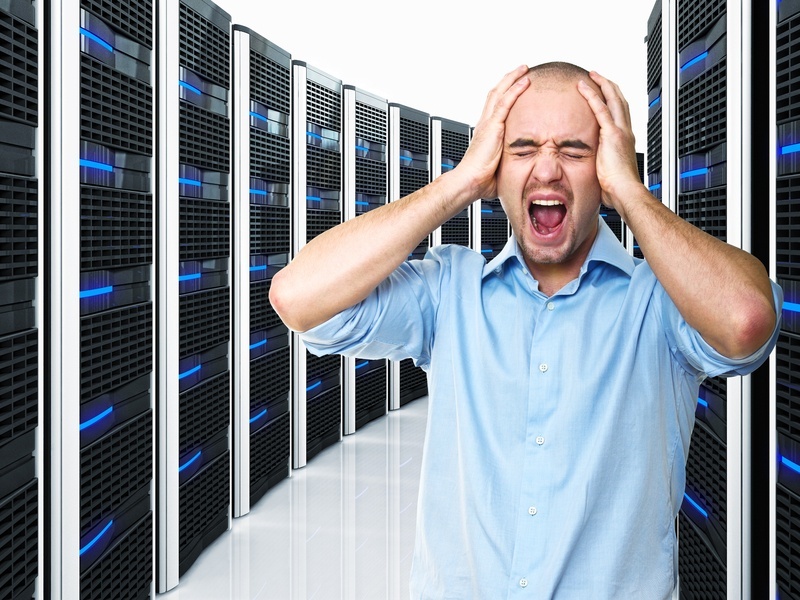 Losing data is one of the most painful moments of a systems administrator. This can either stop a whole company for days (or even weeks), and generate a huge loss of profit. In this article we will reveal 6 expert tips that will make you never lose your data again. Having an updated cpanel backup in multiple locations isn’t as hard as it looks. A Cheap VPS Hosting with cPanel server can be very effective to keep your data kept safe whenever you need. First of all, you need to know how much space is used by your server. As you login WHM, go to the option “Server Information”. The used disk space will be in the right column. We suggest keeping track of the used disk space at least once a month. The cpanel backup procedure is the same for a dedicated server. There are many dedicated and vps server backup solutions over the internet. You can choose from several options where to store a copy of your data: External FTP space, USB External Hard disk or R1Soft external server. Pros: Easy to configure in your cPanel server. Low cost per GB. Cons: You have to monitor often the used disk space, and keep a vigilant eye on it to avoid disk space issues. Pros: Better security, as you will keep it safe with you. Low cost per GB. Pros: Very efficient backup generation and management system. Possible to archive several restore points, of different days or hours for your content. Cons: Much disk space used, because of the many restore points available. License is required. Space: Depends on how much checkpoints of backup you will configure. For each 3 restoration points of backup, we recommend having 2x the space used by the server. After choosing the best backup method for your needs, you must schedule the automated backups. This can be done through the option “Backup configuration” inside WHM. Most of us have a busy life, so it’s very important to have such processes done in an automated way. Every experienced systems administrator keeps more than one backup in a safe place. Having more than one backup place is strongly recommended. As a complete backup of cpanel usually takes some time to be generated, it’s always nice to take daily copies of your most important content like emails or database. In this video, Copahost shows how to perform full or partial backups of your content: files, emails and databases. Untill the beginning of the decade of 2000, having a managed dedicated server was a luxury, and used to cost more than two times the price of a standard unmanaged server. The advantage of managed hosting companies is that one of the offered jobs is to configure and take care of your backups. Such companies will warn you about any annomalies with your backup files. Even cheap VPS hosting companies can offer managed services. Hosting industry is something that is constantly changing, and it’s very important to have skilled professionals with you to give you such good directions. The big advantage of a Cheap VPS hosting if compared to a dedicated server is its possibility to generate entire backups quickly. If your server fails entirely, you can restore the complete backup in another server within a some minutes. 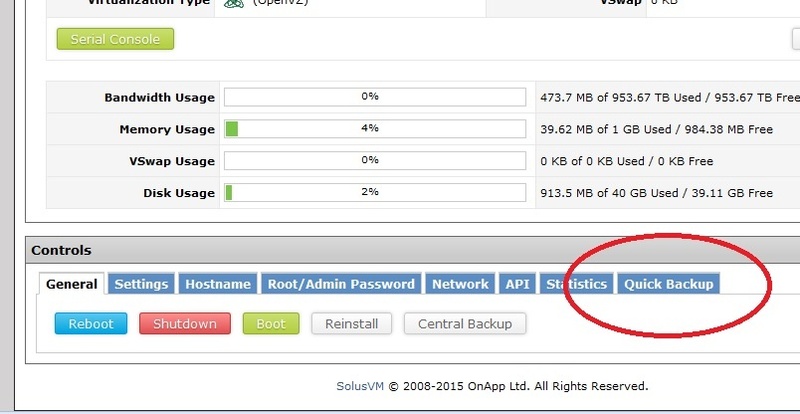 In this example, we show a picture of the SolusVM control panel. In the option “Quick backup” you can generate a backups anytime!